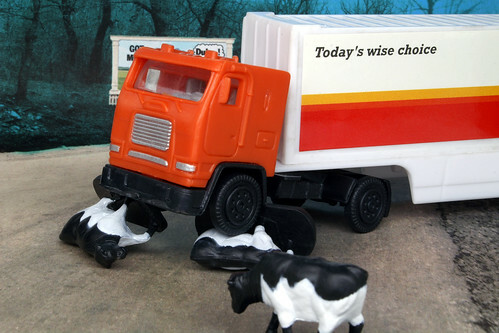 At 12.20 a.m., January 12th, 2009, this tractor-trailer hit and killed 2 cows. In all, about a dozen animals were loose and officers from four different departments, including one fire department, were employed to corral the loose cows and reroute traffic. Bossie the Cow looks on with indifference.